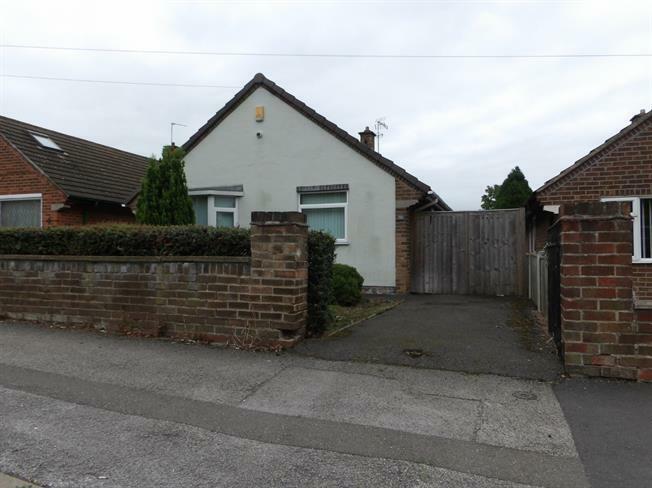 3 Bedroom Semi Detached Bungalow For Sale in Nottingham for Asking Price £150,000. Unique converted three bedroom bungalow. The property benefits from a large rear garden, a driveway and fantastic location. Accommodation comprises; entrance hall, living room, fully fitted kitchen, first bedroom, second bedroom, third bedroom and family bathroom. A viewing is highly recommended to appreciate the size and location of this bungalow! Double glazed uPVC bay window facing the front. Window into bedroom two. Carpeted flooring. Double glazed uPVC window facing the rear and side. Vinyl flooring, tiled walls. Roll top work surface, fitted wall and base units, stainless steel sink. Double glazed uPVC window facing the side. Windows into bedroom one and living room. Carpeted flooring. Double glazed uPVC window facing the side. Vinyl flooring, tiled walls. Low level WC, panelled bath, shower over bath, pedestal sink.